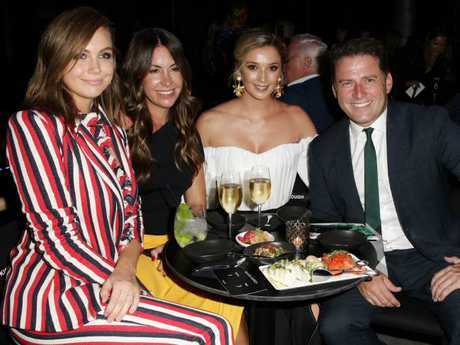 CHANNEL Nine bosses are preparing to let go Today host Karl Stefanovic, after two years of unending negative publicity and a horror slump in the breakfast show's ratings. A damning report in The Sunday Telegraph quotes senior sources at the network saying that Mr Stefanovic will be told this week that he won't return to Today in the new year. 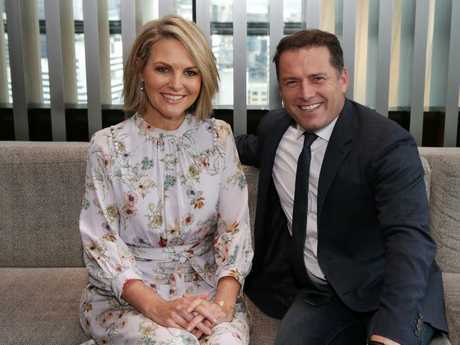 The 44-year-old's messy marriage break-up, swift rebound with model Jasmine Yarbrough - almost a decade his junior - and embarrassing public trashing of his co-host Georgie Gardner have seen an ongoing slump in the show's female viewership. That demographic, which once made up a significant chunk of Today's ratings, "basically now think he is an a** hole", media analyst Steve Allen told The Sunday Telegraph. What’s the best morning show on television? "And who could blame them really," Mr Allen said. "Here you have his ex-wife who supported him and raised his kids and she's left out in the cold while he is off with his younger girlfriend in various exotic locations on holidays every other week. "For Nine to think that there is any other reason viewers are off the show is, to me, just complete denial." 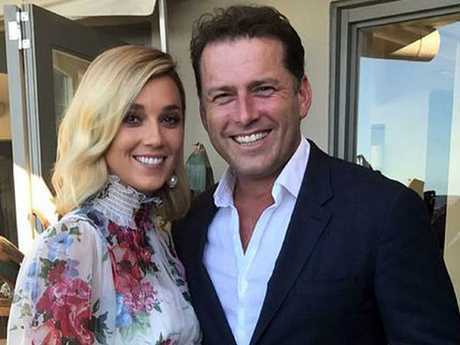 The show's ratings dive began in September 2016 at the same time Mr Stefanovic was first pictured with his new girlfriend. 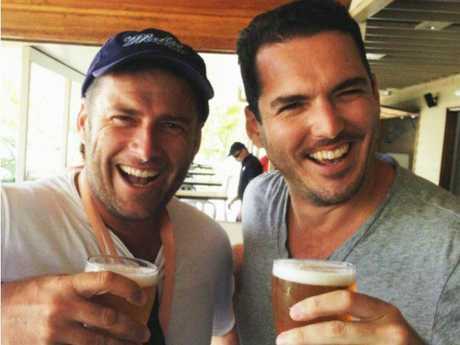 Matters weren't helped when he was caught by an Uber driver slagging off Ms Gardner in the back of an Uber with his brother Peter Stefanovic. And the damaging defection of Lisa Wilkinson to Network Ten, apparently over the much lower salary she was receiving compared to Mr Stefanovic, also hurt. 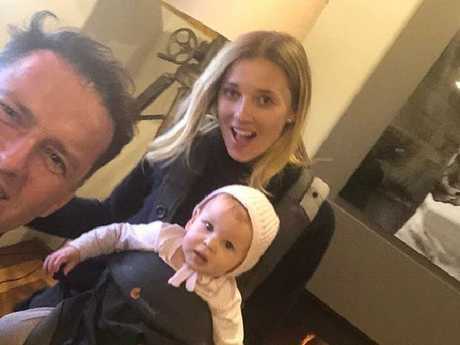 The way Karl Stefanovic handled his marriage break-up and swift rebound with younger girlfriend Jasmine Yarbrough has seen female viewers turn off. "Given that TV is measured 24/7 and ratings are delivered the next day it does have the effect of harming a network's yield as they have to potentially top up campaigns with no revenue increase," Moonlighting media analyst Ian Warner told the newspaper. The show's rival, Channel Seven's Sunrise, recorded an average metropolitan audience of 268,000 last week, compared to Today's 199,000. The report today cite "top-level sources" saying the embattled star is "gone" and will be told this week by Nine's chief executive Hugh Marks that he will be replaced in 2019. Channel 9 last week issued strong denials that Mr Stefanovic's position was untenable, but conceded the ratings slump was concerning. Attempts by Nine to rehabilitate Karl Stefanovic’s severely damaged image have all but failed. His long-time manager Sharon Finnigan also "denied her star client was a dead-man walking", The Sunday Telegraph said, although Mr Stefanovic himself declined to comment. Mr Stefanovic was once one of the network's most popular faces, with ambitions to move across to a coveted full-time role on 60 Minutes.